The sun rose slowly on the seven PAX that came out, in the dark, bypassing dummy-locked gates and perhaps coming in a bit hot for the ranger’s taste on our first foray into the gloom at Warriors’ Path. (Slow Down Please). We headed out and put in some good miles on the pavement as Wilbur took us to see his abode, and by posting time we were ready to crack this new thing wide open. 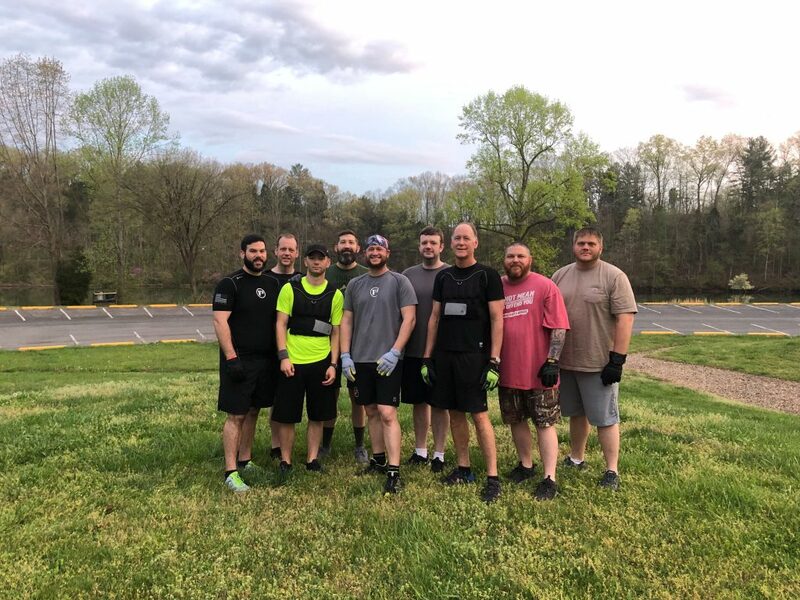 4 more PAX joined up for the main event. 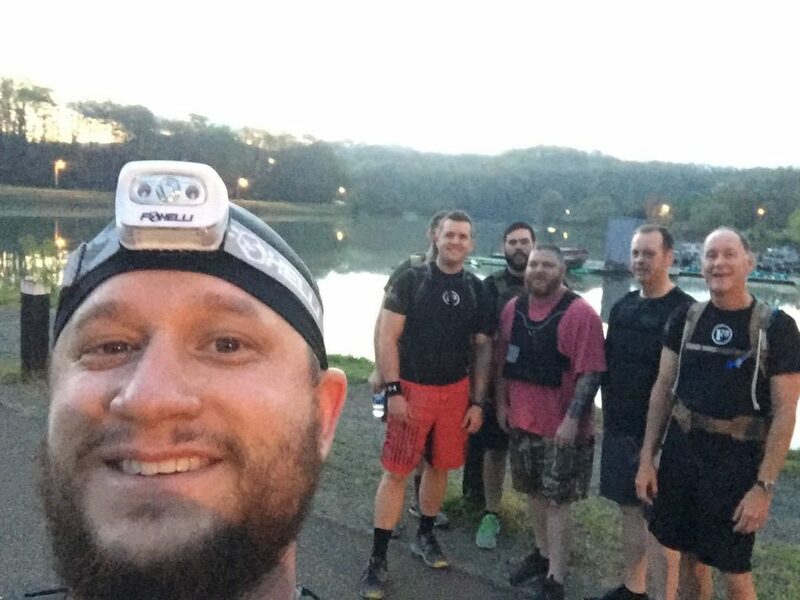 (Total 10 PAX) Kotters to Katniss and Tutu and an overbearing welcome to my FNG Glitch. Photo on the mound (middle of duck island parking lot, where we might do COP consistently – or not, it’ll take a bit to get our traditions worn in). Side note: this workout included some of the best mumblechatter I’ve yet heard. Format was string of pearls as we explored the new AO. Had some ideas beforehand and did some of those, but came up with others and responded to the prevailing attitudes of the PAX. Welcome FNG Glitch (Medical IT Transition Specialist & Web Developer). If you’re doing what you should but the goal doesn’t seem to get any closer, sometimes it’s best to just look down at your feet and grind away. Solid opening for the new AO. Looking forward to all the creativity to come. Need nicknames for terrain features.